CAPCOM | Monster Hunter Game Series to Get First Hollywood Film Adaptation! Monster Hunter Game Series to Get First Hollywood Film Adaptation! Capcom Co., Ltd. (Capcom) and Toho Co., Ltd. (Toho) today announced that a feature Hollywood film based on the world of Capcom's major IP Monster Hunter is slated for production. The Monster Hunter series consists of hunting action games that pit players against giant monsters in a beautiful natural environment. 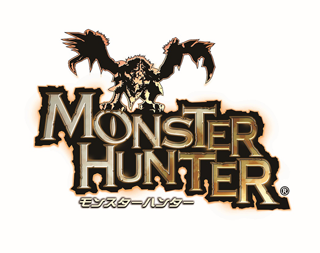 Since the first Monster Hunter title made its debut 14 years ago in 2004, the series has attracted a dedicated fan base, and overall grown into a mega-hit, with cumulative sales of the series exceeding 50 million* units. Monster Hunter: World, the latest title in the series, enthralled game players the world over and shipped 10 million* units, making it the best-selling title in Capcom history. The film will depict two protagonists who come from different worlds and must cooperate in fighting monsters in order to survive. It is being produced by Constantin Films, and has Paul W. S. Anderson, known for the series of Resident Evil films based on Capcom's games, on as both writer and director. Toho will distribute the film in Japan. Both Capcom and Toho are committed to maximizing brand value and increasing fan satisfaction by invigorating the world of entertainment. Capcom is a leading worldwide developer, publisher and distributor of interactive entertainment for game consoles, PCs, handheld and wireless devices. Founded in 1983, the company has created hundreds of games including ground-breaking franchises Monster Hunter, Resident Evil, Street Fighter, Mega Man and Devil May Cry. Capcom maintains operations in the U.S., Canada, U.K., Germany, France, Hong Kong, Taiwan and Korea, with corporate headquarters located in Osaka, Japan. Public Relations & Investor Relations, General Affairs Dept.